The Zenith watch brand does not really go through the happiest of times, since they changed three different CEOs during the last few years. The latest one, Aldo Magada, has very recently left the company. At present, Zenith enjoys the attention of the tireless Jean-Claude Biver, who is currently trying to find a consistent direction for a brand with pedigree and legendary models. Despite all difficulties, Zenith manages to come up with a new collection at Baselworld every year, of which at least one or two models are truly valuable. This is more than I could say about many other famous brands, which are also not facing such issues. This year, for example, I was charmed by the vintage pilot watches launched by Zenith. Yes, I know they are part of the brand’s DNA, but it is really encouraging to see such well-made pilot watches, with an unmistakable profile. 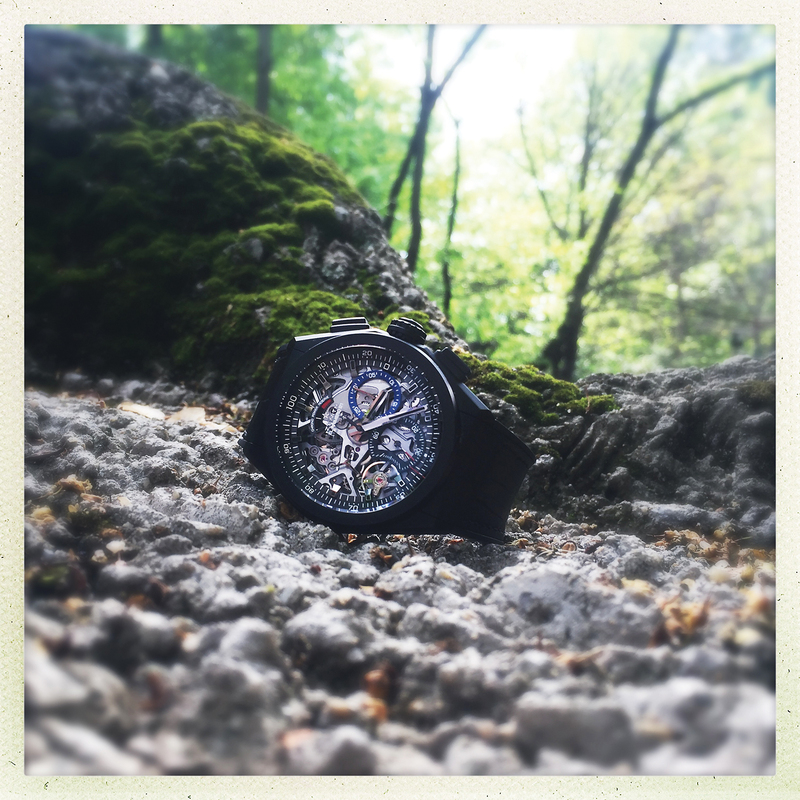 Surprisingly, a watch that got stuck to both my wrist and my heart was a model that I would never have expected to do so – Defy El Primero 21. I could not say I have ever liked the Defy series (called Défi, in French, until 1969). The design was not necessarily to my taste: it was, perhaps, too obvious, too flashy. 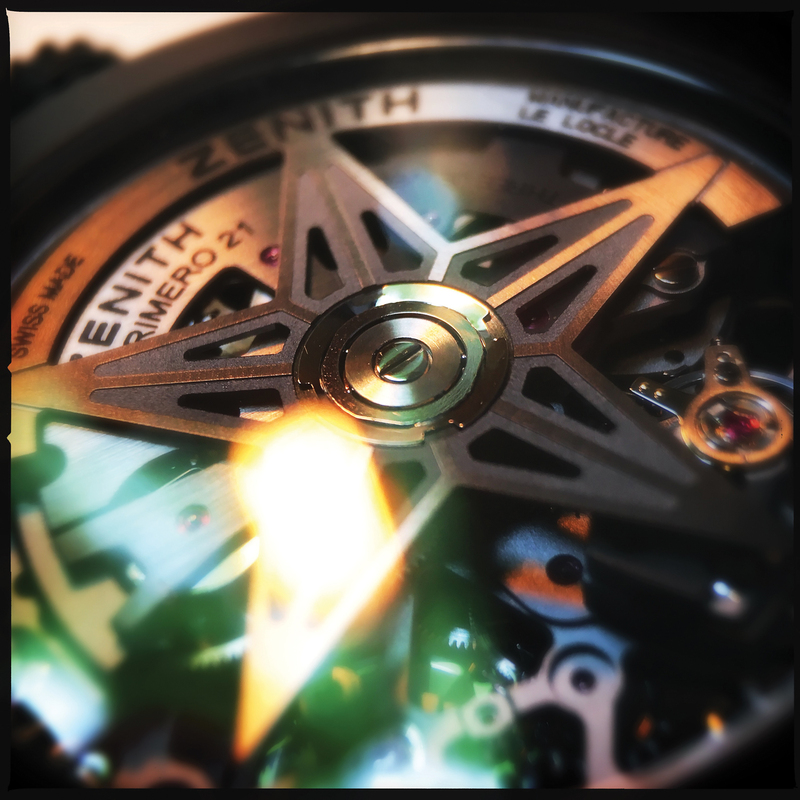 Also, I do not like skeleton models, the dials stripped off of all mystery, with (almost) full view to the movement. However, when I received the new Defy El Primero 21 for testing, I was very happy. First of all, because I had the privilege to wear a watch that had not yet been launched on the market, a piece which I think will become a best-seller for Zenith. Secondly, because I like it when someone or something dismantles my opinions (though perhaps “prejudices” might be a better word). 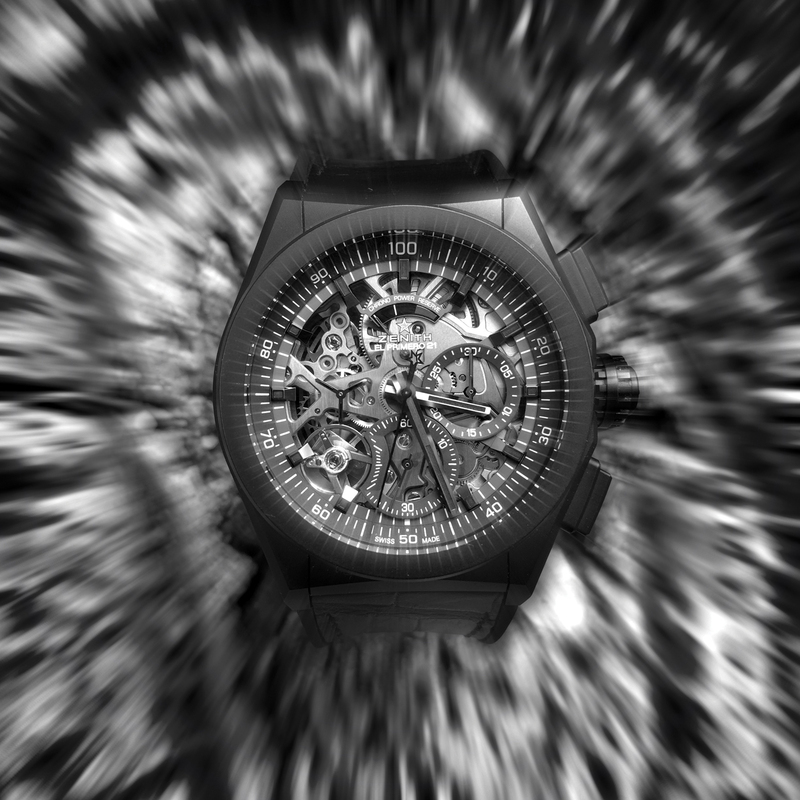 In other words, I allowed myself to be seduced by a skeleton model, a dark, aggressive, powerful watch, which, at first glance, would never have been my type. Never. I took it out of the box, I looked at it and I said to myself: “Well, I don’t think we shall spend much time together”. Then I adjusted the strap and put it around my wrist. And the rest is history. I don’t know if I ever had the opportunity to wear a watch that should fit so well around the wrist of the wearer. It somehow gave me the impression that it has a life of its own and wishes so much to please its owner, the wearer. My wrist is small; yet, the 44mm case set gently on it, looking as if it had been made for myself. I tested it on my friends, Marcel and Beni, genuine Romanian men, with strong arms and sizeable wrists and – surprise! It fit them perfectly as well, feeling entirely at home from the very first second, in any circumstances. At that point, I was really intrigued, so I wore it with jeans, with leather pants, with elegant outfits, with lace and pearls. In each individual context, it behaved impeccably, perfectly complementing each and every outfit. The 44mm case is made of ceramicized aluminium and it is equipped with oversized chronograph pushers. The openwork dial displays the hours, the minutes, the seconds, as well as the chronograph counters (minutes and seconds) and a chronograph power reserve. 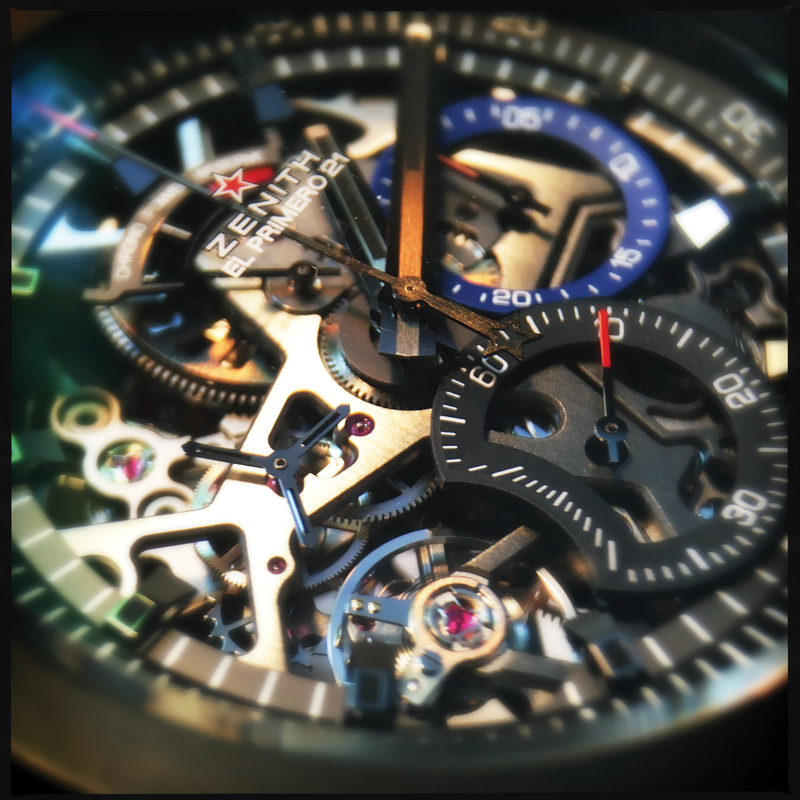 The chronograph movement is COSC certified and it is called El Primero 21 (where 21 refers to the century we live in). What is really extraordinary about this watch, besides its unprecedented ability to adapt to any wearer or outfit, is the movement – two separate escapements, each with its own balance spring made of Carbon-Matrix Carbon Nanotube. Yes, Zenith has a weakness for extravagant names. The first escapement is for the time, running at 36,000vph, while the other one is for the chronograph and runs at 360,000vph. I did not add a „0“ by mistake, it is really 360,000vph. Which means that, when the chronograph works, the seconds hand makes a complete tour around the dial in a single second. Such performance takes a huge amount of energy, so that the chronograph function can only be active for up to 50 minutes, hence the chronograph power reserve indicator placed at 12 o’clock. Verdict • it is a watch that defies any attempt to fit in one category; it is suitable for almost any occasion and outfit. And the movement is really impressive.